University of Health and Sciences (UHS) conduct test for Public sector and Private sector medical colleges of Punjab which is known as Medical and Dental College admission test (MDCAT). UHS has announced second merit list for private medical and dental colleges of Punjab. As expected merit in second list is also high and only those students are selected who worked hard throughout their academic carrier. UHS conduct MDCAT test for MBBS & BDS admissions. There are limited seats available in public and private sector medical colleges of Punjab and thousands of students appear in MDCAT test every year. To get admission in Public sector and private sector medical colleges of Punjab appearance in MDCAT test is mandatory. 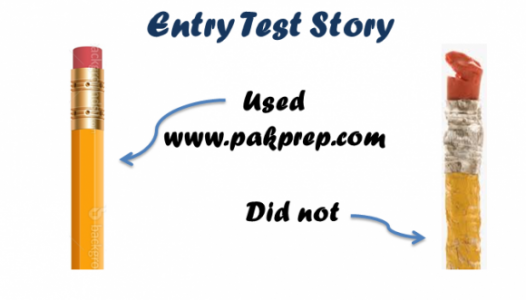 This entry was posted in UHS MCAT and tagged Akhtar Saeed Medical College Lahore merit list, Al-Aleem Medical College Lahore merit list, Amna Inayat Medical College Sheikhupura merit list, Avicenna Medical College Lahore merit list, Aziz Fatima Medical & Dental College Faisalabad merit list, Azra Naheed Medical College Lahore merit list, Bakhtawar Amin Medical & Dental College Multan merit list, Best way to prepare for UHS MCAT, Central Park Medical College Lahore merit list, Changes in UHS MCAT Syllabus, chemistry mcat, chemistry mdcat, Dental Entry Test UHS, Dental Section Akhtar Saeed Medical & Dental College Lahore merit list, Dental Section Bakhtawar Amin Medical & Dental College Multan merit list, Dental Section FMH College of Medicine & Dentistry Lahore merit list, Dental Section Lahore Medical & Dental College Lahore merit list, Dental Section Multan Medical & Dental College Multan merit list, Dental Section Sharif Medical & Dental College Lahore merit list, Dental Section University College of Medicine & Dentistry Lahore merit list, Dental Section University Medical & Dental College Faisalabad merit list, Dow University of Health Sciences (DUHS), download UHS MCAT Papers, download UHS MDCAT Papers, Download UHS Past Papers, Faryal Dental College Sheikhupura merit list, FMH College of Medicine & Dentistry Lahore merit list, How to Prepare for UHS MCAT?, Independent Medical College Faisalabad merit list, Islam Dental College Sialkot merit list, Islam Medical College Sialkot merit list, Islamic International Medical College Rawalpindi merit list, Lahore Medical & Dental College Lahore merit list, M.Islam Medical College Gujranwala merit list, Margalla Institute of Health Sciences Rawalpindi merit list, MCAT, MCAT answer key, MCAT answer key 2017, MCAT answer keys, MCAT answer keys 2017, MCAT English syllabus, MCAT entry test, mcat format, mcat mcqs, MCAT Merit list, mcat result, mcat score, MCAT test, MCAT test answer key, MCAT test answer key 2017, MCAT test answer keys, MCAT test answer keys 2017, MDCAT, MDCAT 2017, MDCAT answer Key, MDCAT answer Key 2017, MDCAT answer Keys, MDCAT answer Keys 2017, MDCAT Biology, MDCAT Biology explained MCQs, MDCAT Biology MCQs, MDCAT Chemistry, MDCAT Chemistry explained MCQs, MDCAT Chemistry MCQs, MDCAT English explained MCQs, MDCAT English MCQs, MDCAT English syllabus, MDCAT entry test, MDCAT explained MCQs, MDCAT Merit list, MDCAT New Syllabus, MDCAT online MCQS, mdcat result, mdcat score, MDCAT solved MCQs, MDCAT solved papers, MDCAT test answer Key, MDCAT test answer Keys, MDCAT test answer Keys 2017, Multan Medical & Dental College Multan merit list, New UHS MCAT Syllabus, Ounjab private sector second merit list, Past Papers UHS MCAT, Past Papers UHS MDCAT, Preparation of Document for UHS MCAT, punjab mcat, Punjab MCAT 2015 Online Preparation, Punjab MCAT Biology MCQs, Punjab Mcat format, punjab mcat mcqs, punjab mcat merit list, Punjab MCAT Past Papers, Punjab Mcat result, PUNJAB MCAT Score, Punjab MCAT Solved Papers, Punjab MDCAT Biology MCQs, Punjab MDCAT Chemistry MCQs, Punjab MDCAT English MCQs, Punjab MDCAT Physics MCQs, Punjab Medical Admission UHS, punjab second merit list, Punjab UHS MCAT, Punjab UHS MCAT Syllabus, punjabmcat, Rahbar Medical & Dental College Lahore merit list, Rai Medical College Sargodha merit list, Rashid Latif Medical College Lahore merit list, Sahara Medical College Narowal merit list, Sample UHS MCAT MCQs, Shahida Islam Medical College Lodhran merit list, Shalamar Medical & Dental College Lahore merit list, Sharif Medical &Dental College Lahore merit list, Sialkot Medical College Sialkot merit list, Solved UHS MCAT past papers, UHS, UHS Admission, UHS Admissions, uhs answer key, uhs answer key 2017, uhs answer keys, UHS Biology MCQs, UHS Chemistry MCQs, UHS Chemistry New Syllabus, UHS Chemistry Syllabus, UHS Entry Test, UHS Fee, UHS MCAT, UHS MCAT 2013, UHS MCAT 2014, UHS MCAT 2017, UHS MCAT Aggregate Score, UHS MCAT Biology MCQs, UHS MCAT Chemistry MCQs, UHS MCAT Dates, UHS MCAT Documents, UHS MCAT English MCQs, UHS MCAT MCQs, UHS mcat merit list, UHS MCAT Online Preparation, UHS MCAT Past Papers, UHS MCAT result, UHS MDCAT, UHS MDCAT 2017, uhs merit list, UHS open merit list, UHS Physics MCQs, UHS punjab merit list, UHS result, UHS secont merit list, UHS test answer key, UHS test answer key 2017, UHS test answer keys, UHS test answer keys 2017, UHS Test format, UHS test result, UHS upgraded merit list, UHS upgraded public sector merit list, University College of Medicine & Dentistry Lahore merit list, University Medical & Dental College University of Faisalabad merit list, upgraded merit list, Watim Dental College Rawalpindi merit list on December 17, 2018 by Pakprep.com Admin. University of Health and Sciences (UHS) conduct test for Public sector and Private sector medical colleges of Punjab which is known as Medical and Dental College admission test (MDCAT). UHS has announced second merit list for private medical and dental colleges of Punjab. As expected merit in second list is also high and only those students are selected who worked hard throughout their academic carrier. UHS conduct MDCAT test for MBBS & BDS admissions. 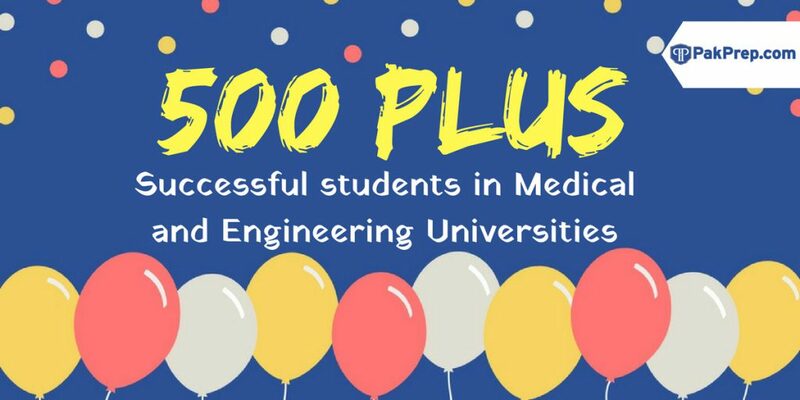 There are limited seats available in public and private sector medical colleges of Punjab and thousands of students appear in MDCAT test every year. UHS (MDCAT) test consists of Chemistry, Physics, Biology and English MCQ’s. To get admission in Public sector and private sector medical colleges of Punjab appearance in MDCAT test is mandatory. Only those students can get good marks in MDCAT test who clear concepts in details. 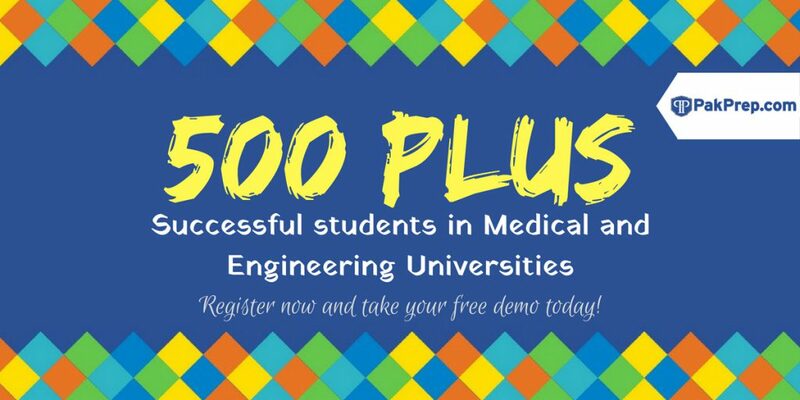 This entry was posted in UHS MCAT and tagged Best way to prepare for UHS MCAT, Changes in UHS MCAT Syllabus, chemistry mcat, chemistry mdcat, Dental Entry Test UHS, Dow University of Health Sciences (DUHS), download UHS MCAT Papers, download UHS MDCAT Papers, Download UHS Past Papers, How to Prepare for UHS MCAT?, MCAT, MCAT answer key, MCAT answer key 2017, MCAT answer keys, MCAT answer keys 2017, MCAT English syllabus, MCAT entry test, mcat format, mcat mcqs, MCAT Merit list, mcat result, mcat score, MCAT test, MCAT test answer key, MCAT test answer key 2017, MCAT test answer keys, MCAT test answer keys 2017, MDCAT, MDCAT 2017, MDCAT answer Key, MDCAT answer Key 2017, MDCAT answer Keys, MDCAT answer Keys 2017, MDCAT Biology, MDCAT Biology explained MCQs, MDCAT Biology MCQs, MDCAT Chemistry, MDCAT Chemistry explained MCQs, MDCAT Chemistry MCQs, MDCAT English explained MCQs, MDCAT English MCQs, MDCAT English syllabus, MDCAT entry test, MDCAT explained MCQs, MDCAT Merit list, MDCAT New Syllabus, MDCAT online MCQS, mdcat result, mdcat score, MDCAT solved MCQs, MDCAT solved papers, MDCAT test answer Key, MDCAT test answer Keys, MDCAT test answer Keys 2017, New UHS MCAT Syllabus, Ounjab private sector second merit list, Past Papers UHS MCAT, Past Papers UHS MDCAT, Preparation of Document for UHS MCAT, punjab mcat, Punjab MCAT 2015 Online Preparation, Punjab MCAT Biology MCQs, Punjab Mcat format, punjab mcat mcqs, punjab mcat merit list, Punjab MCAT Past Papers, Punjab Mcat result, PUNJAB MCAT Score, Punjab MCAT Solved Papers, Punjab MDCAT Biology MCQs, Punjab MDCAT Chemistry MCQs, Punjab MDCAT English MCQs, Punjab MDCAT Physics MCQs, Punjab Medical Admission UHS, punjab second merit list, Punjab UHS MCAT, Punjab UHS MCAT Syllabus, punjabmcat, Sample UHS MCAT MCQs, Solved UHS MCAT past papers, UHS, UHS Admission, UHS Admissions, uhs answer key, uhs answer key 2017, uhs answer keys, UHS Biology MCQs, UHS Chemistry MCQs, UHS Chemistry New Syllabus, UHS Chemistry Syllabus, UHS Entry Test, UHS Fee, UHS MCAT, UHS MCAT 2013, UHS MCAT 2014, UHS MCAT 2017, UHS MCAT Aggregate Score, UHS MCAT Biology MCQs, UHS MCAT Chemistry MCQs, UHS MCAT Dates, UHS MCAT Documents, UHS MCAT English MCQs, UHS MCAT MCQs, UHS mcat merit list, UHS MCAT Online Preparation, UHS MCAT Past Papers, UHS MCAT result, UHS MDCAT, UHS MDCAT 2017, UHS Physics MCQs, UHS punjab merit list, UHS result, UHS secont merit list, UHS test answer key, UHS test answer key 2017, UHS test answer keys, UHS test answer keys 2017, UHS Test format, UHS test result on December 13, 2018 by Pakprep.com Admin.